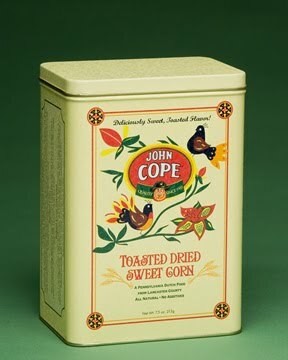 Since 1900, John Copes Toasted Dried Sweet Corn has been a unique and favored family tradition rich with Pennsylvania Dutch history. Although available since the 1900’s, John Copes Toasted Dried Sweet Corn gained popularity during President Eisenhower’s term of office. Legend has it that it was a popular ingredient for meals served in the White House. Today, John Copes product graces countless dinner tables year round and is a favored Thanksgiving tradition for many. Line a 9” pie plate with pastry. Heat oven to 400 degrees. Melt the butter in a small saucepan. Remove from heat to stir in flour. Add milk slowly, stirring until smooth. Stirring constantly, bring to a boil. To thickened sauce, add salt, pepper, drained corn and green pepper. Put half of the chick in the pastry lined pie plate. Cover with corn sauce, then another layer of chicken. Cover with top pastry and seal edge. Cut slits in top crust to allow steam to escape. Bake 10 minutes at 400 degrees and then reduce heat to 325 and bake 30 minutes. Serve hot. Posted with permission from www.farmstandfoods.com. Richard from Amish Stories. 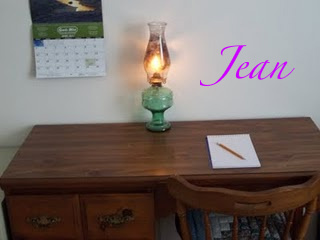 Dont miss a new post from Jean this Tuesday along with one of her homemade recipes!